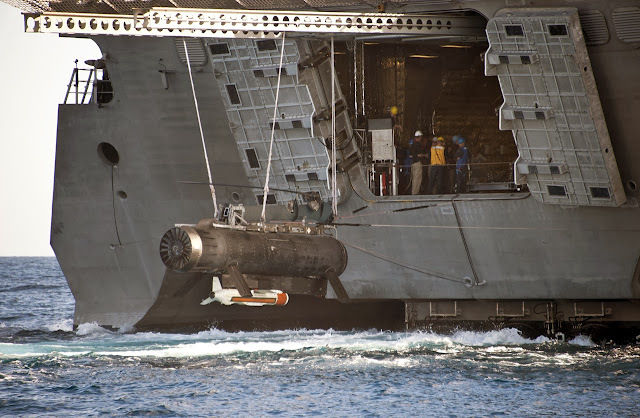 Raytheon Company is working closely with the Naval Undersea Warfare Center (NUWC) – Division Newport to enhance the features of the company's AN/AQS-20A minehunting sonar. Together, the team is analyzing the system's synthetic aperture sonar to fully optimize its ability to capture and process high- and low-resolution images of mine threats undersea. "Extending our long history of collaboration with our NUWC neighbors, this project brings together our respective sonar experts to maximize the performance of a critical undersea warfare capability," said Kevin Peppe, vice president of Raytheon Integrated Defense Systems' Seapower Capability Systems.